Jane Woods is in her fifth year with Bel Canto, returning to the group after previously serving as Music Director from 1991 to 1997. She was formerly Choral Director at Hanover High School, having retired after a more than two decade career. During this time she also served as Music Director for the annual Christmas Mystery at Dartmouth’s Rollins Chapel. She received a Master of Choral Conducting, under Elaine Brown, from Temple University. Further studies included work in choral-orchestral conducting with Helmuth Rilling at the Oregon and Stuttgart Bach Sommerakademies, as well as general choral work at Westminster Choir College, with Western Wind vocal ensemble and participation in the Conductors Study Tour at Europa Cantat XIV. 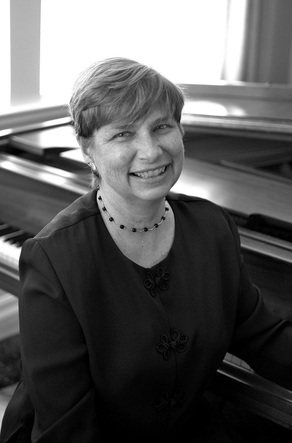 Since retiring from Hanover High, Jane also has been conducting community musical theatre productions for the Newport Opera House, North Country Community Theatre Teens, Northern Stage Youth Ensemble Studio (YES) and Northern Stage Music Theatre in Schools (MTIS), as well as teaching classes and conducting the “Messiah” Sing for the Upper Valley Music Center.